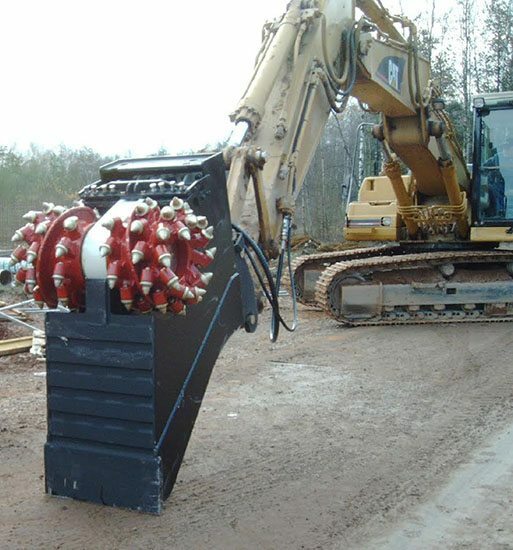 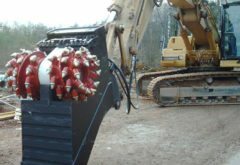 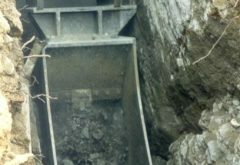 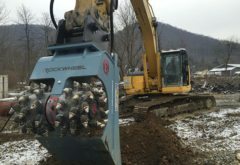 Cut and clean the trench with a single excavator, eliminating attachment changes or use of a second excavator. 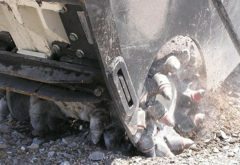 Precision cutting results in as much as 50% less excavated volume compared to hammers which require a trench to widen as depth increases. 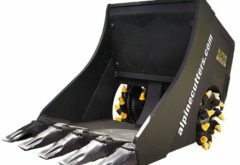 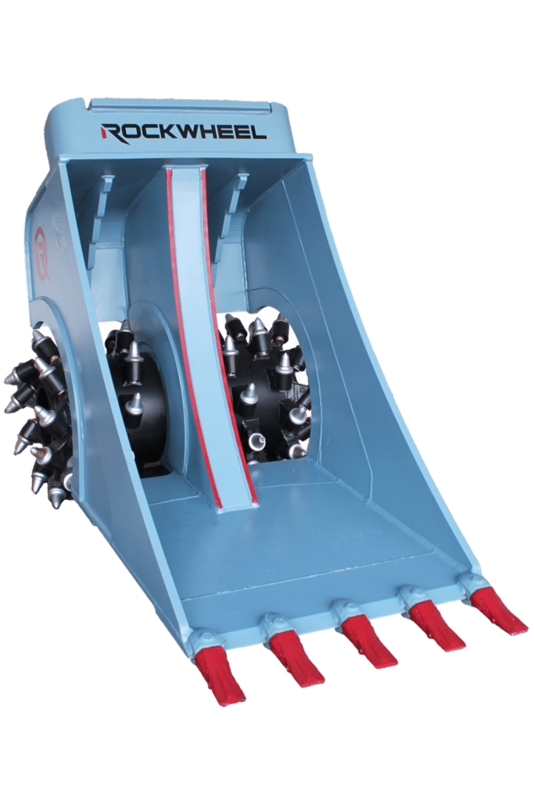 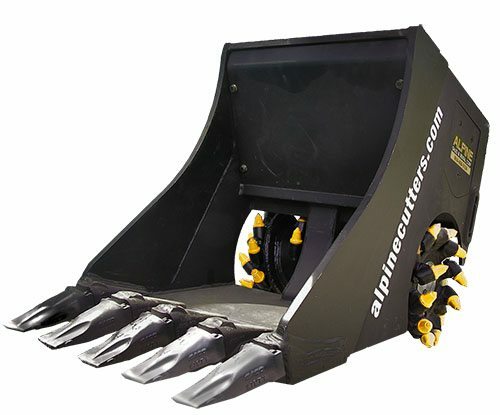 Moreover, the cutter-bucket is ideal for variable ground conditions where both hard and soft ground conditions are found in close proximity. 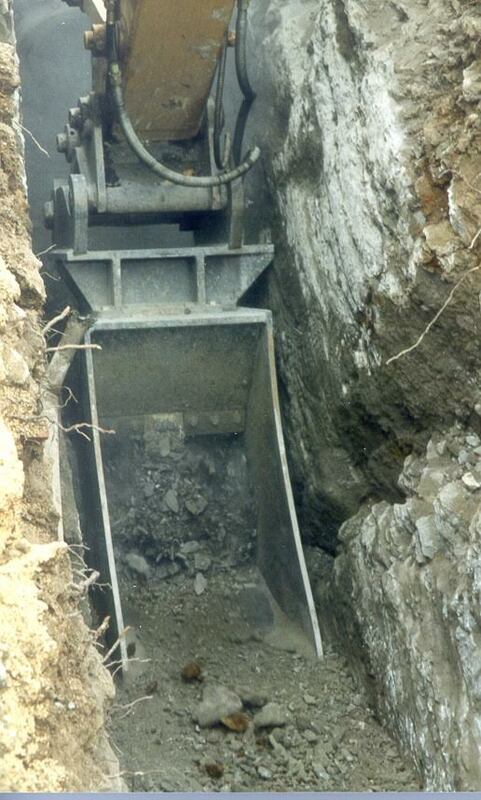 Dig where the ground permits and grind the rest. 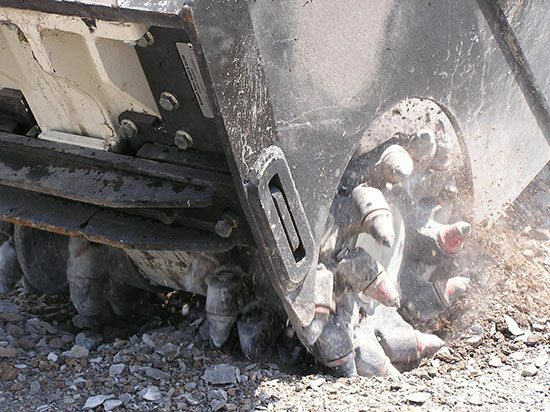 Material can then be crushed to condition it for onsite reuse thus eliminating handling and hauling costs. 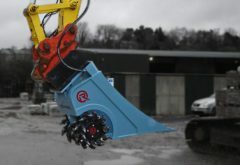 Other uses include: cutting frozen ground, soil mixing, road work, slope leveling and more. 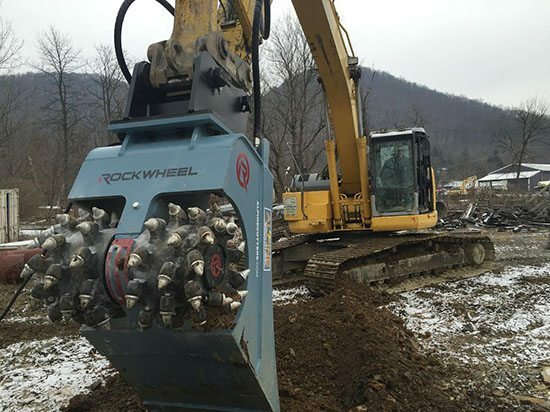 Two models (95-hp and 150-hp) are available for excavators in the 18-35+ ton size class.